One rather little known fact about the law of conservation of energy is that this law is equivalent to saying that time is symmetric when reversed. A full understanding of this requires advanced physics and it does assume there are no energy losses during the process (such as heating or an increase in disorder). It is only when including the useless heat energy lost in converting one form of energy into another that the true nature of energy is realized to be a conserved quantity. You always have the same amount of energy before and after any time or process. The energy is simply converted into one or more different forms through any sequence of operations or events. Now physicists at MIT have developed an experimental technique to simulate friction at the nanoscale. 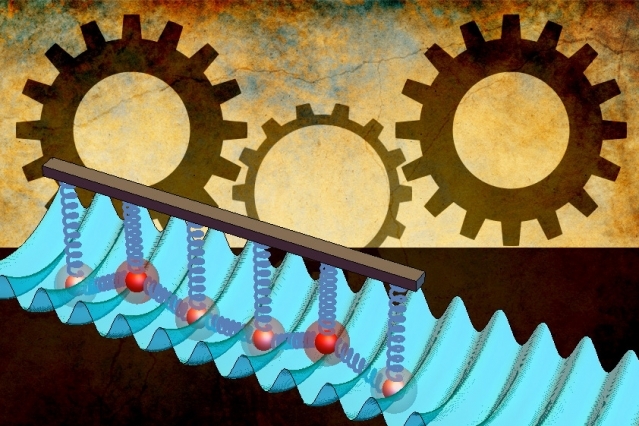 Using their technique, the researchers are able to directly observe individual atoms at the interface of two surfaces and manipulate their arrangement, tuning the amount of friction between the surfaces. By changing the spacing of atoms on one surface, they observed a point at which friction disappears.